Questions about Agreeable Gray SW 7029? Please leave a comment below! You have picked your paint color. You have picked your color scheme. Now let’s bring your space together and pick your selections! Click a mood board below to get started. 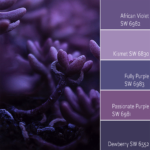 Visit our Mood Board main page to find Mood Board’s for other Sherwin-Williams Colors. I’ve painted the trim in my house agreeable grey and am stuck finding a color for my walls. I want to keep my living space somewhat light but not too bright. Are you up for going white or off-white? I am loving the white walls I keep seeing these days and I personally have some white walls below my chair rail. I also love the look of darker trim and lighter walls. Creamy or Dover White are good ones to try since they are a bit less bright than Extra White. You will still get some really nice contrast against the Agreeable Gray trim. If you would like to go darker than Agreeable Gray, but still not too dark, then you could Requisite Gray, which is a soft gray that will still give you some contrast against the trim. Let me know if you would like further help or if you would like to contact me for a Color Consultation. Thank you! Hi just discovered your site and love every bit of it! I’m trying to determine the undertone of agreeable grey. I see yellow. Am I correct?? Thank you! You are right that Agreeable Gray has a slight yellow undertone. It’s a warmer gray and is between a true gray and a taupe/beige color. It’s a beautiful neutral. One of my clients used Anew Gray (one step darker on color strip) for her whole house and it turned out amazing. I always suggest trying a large sample in your lighting before taking the plunge, though. Let me know if I can Color Consultation with anything else! Using Agreeable Gray throughout, what color would you suggest for painting kitchen cabinets white? I plan to trim and ceiling same white. I love Extra White with Agreeable Gray. It is a perfect “true” white and is a great ceiling color as well. Thanks so much for reaching out! would an Extra white ceiling in a flat finish and extra white for the trim in a satin finish look ok with agreeable gray walls? Yes, I think Extra White flat on ceiling and satin for trim would be perfect with Agreeable Gray walls! Hi Catherine! Thank you so much! Incredible White (SW 7028) is the lighter shade of Agreeable Gray if you would like to try it out. You can also have Sherwin Williams custom mix you a lighter shade in between Incredible White and Agreeable Gray. I hope this helps! Let me know if you have any more questions or need anything else! I was looking for a shade lighter than agreeable gray and was directed to crushed ice, which is a shade lighter without losing all color. In the end I chose agreeable gray and love it. I’m glad that you love Agreeable Gray! It’s one of my favorite warm greige neutrals. Have a great rest of the week! Thank you for all the ideas on warm grays. I am leaning toward Agreeable Gray for my family room. I would like to find a gray-blue that works with it for my kitchen. The cabinets are painted ivory and there is warm yellow-brown in the backsplash (along with navy blue and beige), so anything too cool doesn’t look right. If you have any thoughts on a color or colors that might work, I would appreciate the help! I would try Lattice, Front Porch or Silverpointe. All are blue-grays that would coordinate well with what you have for your current selections. Grab some samples to test first, as colors tend to change with lighting at different times of the day. If you would like further help, please feel free to contact me for a Color Consultation. Thanks so much for reaching out! I just came across your site and it’s so helpful! I have SW Agreeable Gray as the main wall color throughout my house. I’d like to do an accent wall of wide horizontal stripes down the hallway across from the stairs. It’s a southwest facing wall that gets good light. I’d like to do the stripes in a complementary mid-tone color – a little deeper gray to Agreeable Gray, but I’m having trouble. Do you have any recommendations? I find the deeper I go with the strip with Agreeable Gray, it’s more brown and I’d like to keep it a truer gray. And what are your thoughts to also having a different finish to the stripes, say maybe an eggshell or a satin in contrast to the matte/flat? Thanks so much! Thank you! I’m so happy that it has been helpful to you. 🙂 I love your stripe idea! I also like the thought of doing different finishes since it will help give the stripes some dimension. I recently did a post with horizontal stripes using Balanced Beige. You can view it HERE for some more techniques. I might try Dorian Gray for a more true gray with the Agreeable Gray. Let me know if you have further questions or if you need more help, you can contact me for a Color Consultation. Thanks so much! Thanks so much Laura! I have your info and I’ll reach back out once we finally move (still under construction but almost finished) for a color consultation. Such a great site and wonderful information. I recently painted my dinning room and living room in SW agreeable grey . Love the color but having such difficulty deciding on cometary colors to trim out the 2 rooms . I find myself going back and forth between blues and yellows to beige’s . Any help you give me would greatly appreciated . Thank you so much! I’m happy that my site has been helpful. 🙂 I tend to gravitate towards the cooler colors, and I love how the blues look with Agreeable Gray. One of my favorite colors to pair with Agreeable Gray is Comfort Gray (and any other color on the swatch with it). Quietude is one more color that I love with AG. Anew Gray, Mega Greige and Warm Stone are all colors on the swatch with Agreeable Gray that you can use as accents in other rooms as well. If you would like further help, please feel free to contact me for a Color Consultation! I would love to help out. Thanks again for reaching out! Hello and thank you for such a helpful site! I don’t see Keystone Grey on your Agreeable Grey swatch. We’re painting an accent wall in our great room. We moved into a new house that was painted all AG. We love it, just ready to add some differentiation. We lean toward Keystone Grey since it is 3 up from AG. The room receives decent light and we’re putting white bookshelves with the tv on the wall. I love all your ideas but since I didn’t see Keystone Grey I got a little worried about our choice! Even though Keystone Gray isn’t on the Agreeable Gray page, it is still one that I like and that goes with AG. I always recommend trying a sample to be sure before you paint, but for an accent wall, you have the right idea with going 2-3 shades darker than the overall paint color! I’m not sure how to upload photos here! We love the Keystone Grey. It provides the depth and warmth we wanted in an otherwise large, light space. We’re thinking now to paint Raindrop on a smaller wall in the kitchen (it’s one Great Room) to provide some brightness and contrast, and to hopefully help distinguish between the two rooms. I’m happy to share before and after if you let me know how! Thanks for sharing! I’m so glad that you are happy with the results of Keystone Gray. There isn’t a way to upload pictures on the comments, but you may email me some before and after pictures if you would like. I am having a hard time picking a color. Our house is open floor plan with the main living with 20 foot ceilings with a lot of sunlight. The kitchen has a little hearth area and an eat-in dining room. We have maple cabinets and a lot of white trim throughout the house. The built-ins are a sort of off white. We have a 2 tone beige furniture and brown leather furniture so I am going for more of the warm. I am using a lot of black frames. The carpet in one room is a brown/beige/gray and the floor in the other is a light maple. Would the agreeable gray look okay? Or also the versatile gray? Thank you! It sounds like Agreeable Gray or Versatile Gray could work with what you are describing. 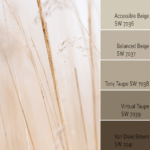 Another warmer neutral to try is Balanced Beige. I did a review of Balanced Beige recently and you can view it HERE for more ideas. It’s still warm without feeling too golden. Grab some samples of each and to see how they look in your lighting. If you are still having trouble, you can contact me for a Color Consultation and I would be happy to help you! Thanks again for reaching out! What do you think about agreeable gray for living room and kitchen with an accent wall around fireplace being mega greige? Living room and kitchen are one big room. My only worry is my kitchen has more brown brown in it so I am not sure if that would work. Then I am thinking doing the hallway in comfort gray. Then the dining room and office quietude? They are across from each other. Also the small bathroom in mysterious mauve. Does this color combo make sense? Or maybe even doing the office in fashionable gray? 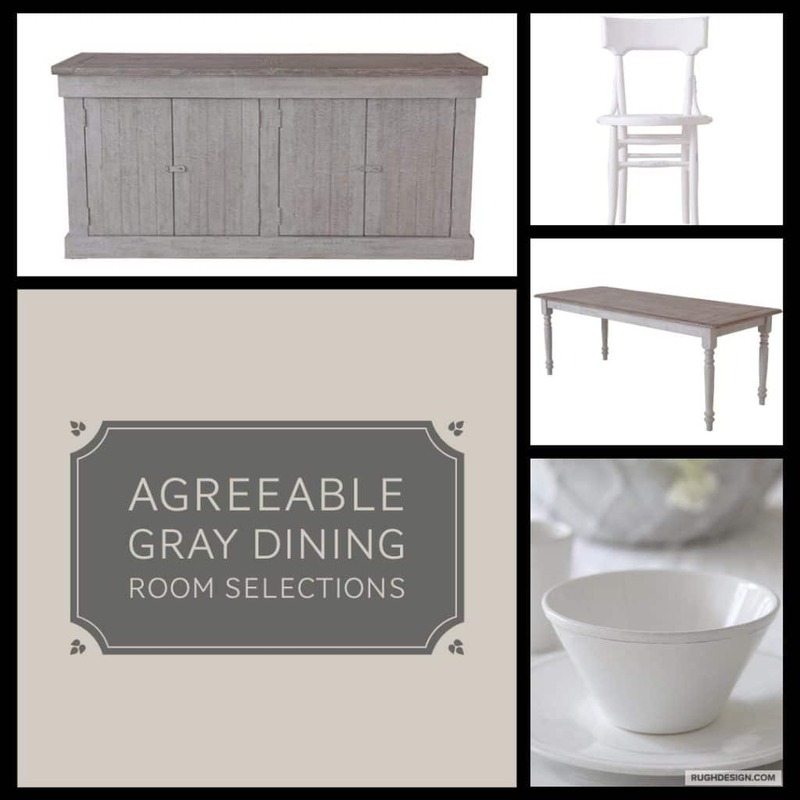 I love Agreeable Gray! Get a sample and test it out next to the browns in your kitchen to see how it looks. One thing that I like about Agreeable Gray is that it is very versatile. I like the other colors you have picked too. I lean towards Fashionable Gray for the small bathroom and keeping Quietude in the office. If I can help further, please feel free to reach out for a Color Consultation! Thanks so much! Hi, we are using Agreeable Gray in a large conference room and would like to do the back wall in an accent color. Our carpets and chairs have taupe, grays and a little bit on navy. The room has no windows so we want to go light. Thinking about a blue, such as Alewtian by SW, to pick up the colors in the carpet and chairs. What do you think? Should we go with a taupe to compliment or with a blue accent color? Thank you for reaching out! I’m thinking that Aleutian could work since it is not a super dark blue and it has some gray tones to it as well. It might even help to open up the conference room and create a soothing environment since blue is not only a cool color that helps spaces feel more spacious, but it is also a color that creates a peaceful feel. If you want to go more neutral with a taupe color, try Keystone Gray. It is a few shades darker than Agreeable Gray. Grab some samples of both and test them out first to see how they look. Let me know what ends up working for you! If you are still having trouble, please feel free to contact me for a Color Consultation for more detailed help. Thank you! I’m wanting to do agreeable gray in our new home (maybe lightened a tad) and I was wondering what color do you think would look good for the trim work? I want something lighter but not a bright bright white. Also do you have any ideas for how to paint a tray ceiling with that color/or with other colors mixed in (it goes from a 10 to a 11 to a 12ft). Happy New Year! Try Eider White for a trim color that is not bright white, but still coordinates with Agreeable Gray. As far as the tray ceiling goes, try going several shades darker than Agreeable Gray on the same swatch. Warm Stone is one to try or go bold with a different color completely, depending on your color scheme. Please feel free to contact me for a Color Consultation if you would like further help with your paint color choices. Thank you for reaching out! Thanks so much! I love Agreeable Gray and I like the direction you are going with adding in Gris as an accent color. I might switch your colors and try Agreeable Gray as your main kitchen cabs and then use the Gris on the island to really make it stand out. Pavestone is a great color and so is Colonnade Gray. Try using Mineral Gray for a possible Media Room color instead of Colonnade Gray. I like to use more saturated colors in rooms like Media Rooms to give it a “cozy” feel. If you are still having trouble, please feel free to contact me for a Color Consultation for more detailed help. Thanks again for reaching out and Happy New Year! Hi! I don’t think I realized that your walls and cabs would be Agreeable Gray. 🙂 I do think it would be best to do the cabinets and walls a different color. Can you do your cabinets in an off-white or white color? Extra White is my favorite white trim/cabinet color and it would pop out against the Agreeable Gray walls. Let me know what you decide! Thanks! Please help. Just bought an older home and I want to paint the walls and ceilings agreeable gray by Sherwin Williams, but can’t find a good color for my kitchen cabinets. What do you suggest? Good choice! I love Agreeable Gray. If you want to go with a brighter white for your cabinets, which I love, Extra White is my favorite go-to. If you are leaning more towards a creamy color, Creamy or Antique White are some good choices. If you still need further help, please feel free to contact me for a Color Consultation. Thanks for reaching out! Thank you for your help. If I paint all the walls and ceilings agreeable gray and use snowbound for trim and doors. Can I use a a darker shade of gray for my cabinets? What do you think about Dorian gray for kitchen cabinets? Hello! I have recently done agreeable grey in our hallway and are looking to do the rest of the house in colors that work with it. Problem we are having is the house is a naturally dark space so we can’t go to dark and leather furniture is black. And rugs are darker tones. Any help is appreciated! Agreeable Gray is a great color! Some colors that will coordinate with Agreeable Gray and still keep things lighter for your space are: Lattice or Silverpointe. Also, Comfort Gray and Sea Salt are great colors to do in bedrooms and bathrooms. If I can help further, please feel free to reach out for a Color Consultation. I would love to offer more detailed assistance if needed. Thanks so much for reaching out! We are about to remodel kitchen. Cabinets are cherry with absolute black granite countertops. The floor is a beige tile with accents of black granite. What Sherwin Williams neutral would you suggest? We have looked at accessible beige and agreeable gray. I want to make sure we dont darken room with our color choice as there are only two windows. Both Accessible Beige and Agreeable Gray are great choices! Neither one is very dark, so you should be okay. I always suggest getting some paint samples to see how the colors look in your lighting. This will help you to narrow down which one you are leaning towards. 🙂 Please feel free to reach out for a Color Consultation if you still need further help. Thanks for reaching out! Using Agreeable Gray throughout my home but unsure of how to paint the cathedral ceiling on a large south facing open great room. Pure white? Same Agreeable gray? Great question! I think it depends. If you don’t have a good stopping point for the wall and is slopes at an angle that would look funny to be painted a different color, then keep it the Agreeable Gray. Sometimes it really does look best to keep the continuity in a cathedral ceiling and do the same wall color. If you do have a good stopping point that would not look abrupt to do a different color, then going with the white ceilings would be okay, especially if you prefer to have lighter/white ceilings. Let me know what you end up deciding. 🙂 Thanks so much for reaching out! Painted the ceiling SW Pure White and it looks fabulous! Your site has been extremely helpful to me as I have my whole house repainted. Yikes! We just painted our main living room/hall/kitchen in Agreeable Gray. We have a 17′ pitch that runs through the middle of the house, and in the kitchen, there is a ledge that breaks up the wall. We painted above that ledge in Magnetic Gray. Unfortunately, I tend to lean toward that color all the time, and now my house looks too much the same. I have to have the dining room painted now and need a complementary color. I am stuck. Illusive Green? Mineral Deposit? I need a bluish-green gray that coordinates well with both Agreeable Gray and olive green accents. Do you have any suggestions? Also, my dining room has a lot of light and a 14′ vault. White moulding on the lower half. It can support a lot of color. Thank you! I’m so happy to be of help to you! Agreeable Gray is a great color and so is Magnetic Gray. 🙂 I might try Retreat or Acacia Haze for your Dining Room to coordinate, especially since you have lots of light and white moulding. Please feel free to contact me for a Color Consultation if you are still having trouble. I would love to help further! Thanks so much for reaching out and have a great rest of the week! I ended up going with SW Illusive Green, which is two steps darker than Magnetic Gray. I actually ended up painting the entire kitchen in Magnetic Gray because of my cherry cabinets and slate floor. I’m still not sure if that was a good move or not, but I can only re-paint so much. The Illusive Green is similar to Retreat. Just a bit more gray to it, I think? Again, thank you so much for your ideas and help! Of course! Let me know if I can help with anything else. Hello! Quick question, what color cabinets in the kitchen would go best with Agreeable Grey? We currently chose Latte, but are afraid it matches too closely? Any thoughts? 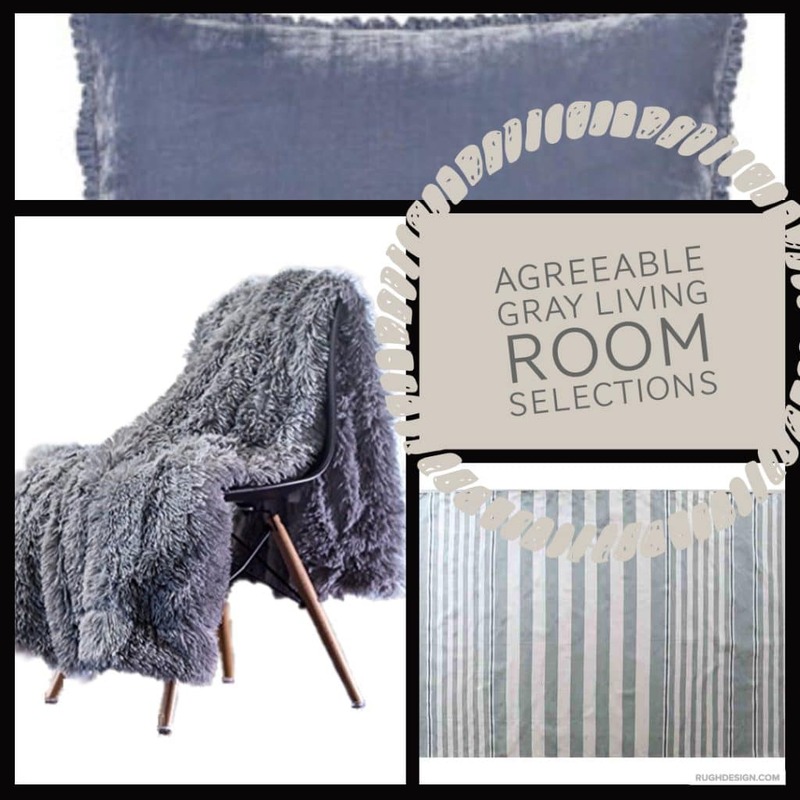 I love Agreeable Gray…great choice! Are you wanting to go darker on your cabinets? If so, try a color with a bit more gray in it to compliment the Agreeable Gray, like Dovetail or Anonymous. If you want to go lighter, my favorite bright white is Extra White. Let me know what you decide or feel free to contact me for a Color Consultation if you need further help. Thanks for reaching out! 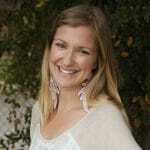 Hi Laura – I just found your wonderful site! I am painting most of the house in Agreeable Gray with Extra White trim, but would like the “den” to be a darker, cozy gray. This room is the main living space (TV room), and is situated between the kitchen and family room, which are Agreeable Gray. With a fairly open concept, a bay window and fireplace, there isn’t a whole lot to paint, but it is all floor to ceiling wainscoting. Our style is fairly modern and bold. Should we go with a darker gray on the same swatch, or go with a truer gray for some contrast? Can you suggest a somewhat bold blue to paint the dining room that will complement the gray walls and green accents in the other rooms? Thank you so much! I’m happy to help. 🙂 I love your direction with the Agreeable Gray and Extra White. I’m thinking that a darker truer gray, like Dorian Gray or Dovetail would look nice in your den and contrast nicely with what you have going on. Try Moody Blue or even Riverway for a bold blue. I love the look of the more saturated blue colors these days! If you are still having trouble, please feel free to contact me for a Color Consultation. I would love to help you further! Thanks for reaching out and have a great rest of the weekend. Redoing teenage girls bedroom with graywashed wood furniture, white trim, shabby shic bedding (bluish). What color for walls? Agreeable gray or Passive? Thanks! I would go with Passive! It has a bit more of a blueish undertone and would go well with what you described. 🙂 Let me know if you need more color help via a Color Consultation. Thanks for reaching out! We have a small lake cottage that we just painted agreeable gray with pure white trim. It is open room with living room and kitchen and would like to paint kitchen cabinets white or gray. Suggestions on SW color for cabinets? Do we stay with pure white or a different white or gray? Also agreeable gray kind of dark in low light bedrooms – any suggestions on coordinating color to brighten up bedrooms? Thanks so much for help. I would definitely suggest staying with Pure White for your cabinets. I love how white cabinets give a kitchen a bright, classic and clean look. Also, it is ideal to keep your trim and cabinet whites the same for consistency and cohesive flow. Add some accents in white, citrus colors or a cool color like blue to brighten up your low-light bedrooms. Hi. We are building a new home. It is one story and really spread out. I love a very neutral color scheme with pops of color. However I do not want the rooms to be dark and I’m not crazy about white. Have to get paint colors for the entire home without really knowing what all the colors will be ( again new home). Could suggest where to start? Several rooms on the front will be north facing including the foyer which enters the family room. The kitchen and family room are semi open. Thank you so much for any help you can give me!! Hi. We are remodeling our basement and have decided on Agreeable Gray with white trim. There is a bathroom that I would like to do in a blueish gray if possible. What would you suggest? Lattice is my favorite blue-gray, but I would suggest Sea Salt (more of a blue-green) for your bathroom to go with the Agreeable Gray. Thank you for reaching out and have a great weekend!! I have dark wood type tile floors, a pattern area rug with taupe, light and medium grey spots. My leather sifa is a ned/darlk taupe. Woykd ageeable grey work well on Walls? Thw windows and slider have white blinds. I would use the undertones from your tile flooring (if it’s staying) to find the best wall color. It sounds like you have more taupe tones than gray, so I would sample Accessible Beige and Agreeable Gray to see which looks best! If you are still having trouble, I offer Color Consultations to help find the best color for your space. Thank you for reaching out! Thank you! November Storms looks nice, but you could also test out Warm Stone (it has more of a brown undertone) or Porpoise (also a bit warmer). Gauntlet Gray is one of my new favorites and is a bit cooler, but would still work! Any of these would work with Agreeable Gray and coordinate with your dark brown wood tones. Let me know if you need further help with a Color Consultation! Thanks so much for reaching out. Thanks for the quick reply Laura. I had started looking at Urbane Bronze and I see that is right next to Porpoise! I assume that would work too. Thanks! Yes! Urbane Bronze would be great too. Thanks so much! We are purchasing a new home that’s just dying for some color! Walls are currently Oyster White and trim/cabinets are Westhighland White. I really like Agreeable Gray but I’ve read it looks better with a pure white. Is there another warm gray that would better compliment the trim color? Also, we are planning to use Sea Salt in the kitchen and bathrooms and Comfort Gray in the master bedroom. Agreeable Gray is actually a warmer greige than you think, and in my opinion would work just fine with Westhighland White (an off-white). Get a large sample board and test the paint next to the trim if you are still worried about it. Let me know if I can help further with a Color Consultation. Thanks for reaching out and have a great week! Thank you for your great blogs. They are so helpful! We are currently building and I have decided on agreeable gray for most of the house. I’m stuck on a trim and cabinet color. I was thinking pure white but I’m afraid it will be too stark for what I was thinking. Our living areas are east facing with 10 and 11 foot ceilings. What other whites go with AG? I have seen Alabaster and Dover White (looks yellow with our bathroom tile), Snowbound and Eider white (I fear this might be blue against our granite), and too many others! Do I stay with pure white? Would you paint the ceilings AG or the trim color? How does Gossamer Veil compare to AG? Thanks! Thank you so much! I love Agreeable Gray and prefer it with a brighter white. You can go with a slightly off-white as well, but I wouldn’t get too creamy or use a white with a yellow undertone since AG has cooler undertones. It sounds like from what you told me about your home, that the brighter white would work best! With a color like Agreeable Gray, I like to keep the trim and ceilings the same color. 🙂 I hope this helps! If you are still stuck, I would love to help you furhter with a Color Consultation! Thank you for reaching out, Sheena! Hello…Please help…. I have light wood flooring and brown furniture in my home. I do receive a good amount of sunlight in my living area. In my quest to find a gray paint color, I stumbled about AG. However, after reading more about it, I’m reading that his has more of beige undertone. I would like to know which color would I see more of? The gray or beige? I really didn’t want beige.. I’m so tired of going thru gray samples. LOL.. I can open up a mini store.. Also, if I decide to keep the AG what color should I paint the baseboards? I don’t want a color beige to over power the gray. Please help me…. Frustrated!! HI! LOVE this site! We are going to paint the outside of our stucco home Agreeable Gray, with Pearl White trim, but I’m leaning toward dark gray for the gutters! What do you think??? I really think it might ‘modernize’ my traditional boring stucco home. Here are our gutter color choices, do you think Tuxedo Gray is too crazy dark? Thank you! I like your thoughts on using Agreeable Gray on body, Pearl White on trim and Tuxedo Gray for the gutters. I don’t think TG is too dark! I do think it will modernize your home. 🙂 Send me a picture when you are finished painting if you think of it! Hi! I love this website. We are painting our home Agreeable Gray and are using Mindful Gray on our accent wall. Does that color coordinate well or should we consider Anew or Dorian? We also have a small niche in our great room that we want to paint a pop of color. We have a contemporary style with light grey chairs and black leather furniture. What color do you recommend? Thank you for your help. I would go up at least 2 notches on the color swatch to create more of a contrast against the Agreeable Gray. I love aqua with grays and blacks! Try that in your niche! If you are looking for specific colors, I would love to help with a Color Consultation! I love Agreeable Gray. I am trying to use it in my new home which is super small. So far we have painted the kitchen and I am thinking it might be too light? But not sure. The cabinets are white and dark gray for the lower ones. The kitchen is open to the living room with a white fireplace mantle. I want the two rooms to flow. I would like a darker color for the back of the house which is a family room. Any suggestions for a contrasting color to Agreeable Gray? Agreeable Gray is a great color! It sounds like it works well in your kitchen. I wouldn’t get too dark so that you can keep a contrast with the lower cabinets. Sherwin-Williams has some great darker gray-blue colors that would coordinate well with Agreeable Gray. Let me know if you would like a Color Consultation and I can help find the perfect color for your space. Thanks I would like that. Good morning. What do you think of using agreeable gray in a bathroom that has Kraftmaid Greyloft cabinets and flooring of Natural Timber Ash porcelain tile planks (that resemble weathered wood) . Countertops are Cosmic Quartz in Tropic White. Thank you for your help. I am totally confused with the different shades of gRay paint. Yes, I think that Agreeable Gray would go well! It’s a lighter gray with a bit of warmth that will compliment your selections. It’s one of my favorite colors and I recommend it a ton. 🙂 Thank you for reaching out! Please let me know if you need anything else! I am building a home and am so upset of how my kitchen is turning out. We choose agreeable grey cabinets, a subway tile marble backsplash, with a very moderately grained marble counter top. The struggle is that the agreeable grey cabinets look tan next to the backsplash. What makes it worse is that we had one wall color choice and we choose Repose Grey. I have space above my cabinets to paint a different color. Is there a color you suggest that would help the cabinets look more grey and less tan, and coordinate more with the backsplash? I bought and applied Agreeable Gray to my living Room, Dining & Kitchen walls. Very disappointed b/c the color tint looks more gray/blue than a soft neutral gray, why us this? Hi Laura, I stumbled upon your site and need help! I’m frustrated with color in this new little home we just bought. Ceiling is painted Drift of Mist and Walls are painted Agreeable Gray and the walls looks baby blue and not really gray. The home has dark wood trim and wood flooring. The kitchen has old tile flooring that is beige and some pinks in it, we will be replacing next year. The kitchen cabinets are old and beige in color. We are replacing the cabinets and counters this year with possibly Alder Cabinets and Granite Counters. Would like to have a cozy cabin feel about the home, but the AG is so baby blue, please help on a suggestion to either repaint, if so what color. I really don’t want to go thru the expense to repaint, but not happy with this blue color that was supposably a nice gray. Thanks again and I hope to hear from you soon! Hi there, I’m interested in repainting my interiors SW agreeable gray, but when I called to order the paint I was told they only offer eggshell finish to contractors. I’m so confused! Have you experienced this issue? Thanks in advance! Hmmm…that’s strange. Do you know which paint product they were referring to? I’ve never had trouble with requesting finishes before. If for whatever reason, they won’t offer the eggshell finish, you can request the satin finish, which is pretty much the same sheen. Hello! We are about to paint our stucco and while we really love Agreeable Gray with Extra White for the for the color and trim, I fear it might be too light. Have you seen this color on stucco before? I have searched high and low and can’t find a thing for exterior stucco. Agreeable Gray is a great color, but your instincts are right that it will appear too light on your exterior, especially in the sunlight. I would go a few colors darker on the same paint swatch and test that out on your stucco. If you still need help, I offer Exterior Color Consultations and would love to help you find the perfect color! We are getting a large sectional sofa that is eggplant in color. It will be in our great room which has double windows all around. I want the walls “light” so it remains a warm open space even when we have the curtains closed to keep it cool in the summer with the window unit air conditioners running. The floors are dark wood and the trim is bright white. I don’t want a purple room…just a true gray that is warm and cozy. I’m exploring Repose, Passive, Collonade and Lt French Gray. Any advice is appreciated! I have an open concept room with vaulted ceilings. We are painting the kitchen cabinets a bright white and putting up faux ceiling beams that will also be painted white. Hardwood floors a medium brown. If I paint the walls agreeable grey, should I continue that color to the ceiling to make the white beams pop? I love the colors and design direction! I personally like and prefer white ceilings (even with the white beams) but if you would like to create some contrast, you can go a shade lighter than Agreeable Gray for the ceiling. Let me know if I can help with anything else! Thanks for reaching out! Agreeable Gray is one of my favorite go-to colors for a greige. It’s hard to say if it’s the perfect color for your space without seeing all of your design elements together (backsplash, granite, floors, etc.). I don’t think it would look bad next to light oak cabinets, but again it depends on what else you have in your space. I painted our nursery Agreeable Gray. We are moving into a new house and I wanted to keep the same color for our nursery in the new house. The trim in the new house is an almond color and I’m worried it won’t look right with agreeable gray. Should I pick another color? I really don’t want to paint the trim right now. Thanks. I totally understand your concern and feel that Agreeable Gray does look best with a white or slightly off-white trim. I know you don’t want to re-paint trim now, but maybe you could ignore it for now until you are ready to paint. 🙂 Let me know if you need further help with a Color Consultation! We have tried so many grays in our house that we recently purchased and all have been an epic failure. We’re looking for a gray (or greige) that we can use for the whole house. We originally painted our living room SW passive gray which definitely looks like a baby blue. We bought about 9-10 samples after that and finally agreed on agreeable gray. However, once we painted a whole wall with it, it alsolooks blue! I’m so lost and exhausted from trying to find a greige that will actually stay greige. Our house faces east in the front with the back facing west. Our wood floors are a honey oak color and our trim is white. We don’t have much decor up since we just moved in recently so not much for the paint color to play off of. I would love to help you find the perfect gray/greige for your space! My Interior Color Consultation is the best way to find that perfect shade. It is well worth it so that you don’t have to re-paint again! I will view pictures of your space and we an set up a time for a FaceTime or Skype. I will then put together a detailed custom summary of the color selected and why, along with some an inspiration picture for your space. Just found your site, and I’m so happy! We need to paint our livingroom. It faces east, has a glass door with sidelights, and a picture window. It has a 20′ tall ceiling that is dark brown wood. Down the center of the east wall is a floor to peak stone fireplace – the stones are mostly gray, with some beige tones. I’d like to paint the walls agreeable gray (they are now white), and the trim extra white. The wood floor is medium golden brown, the interior doors are brown wooden. Our furniture is wood, with brown cushions. Do you think that will look okay? Still thinking about accent colors -would like to invoke a calm, relaxing, atmosphere, bring the outdoors in with a leaf green, maybe. New to your site and loving it!! I am having my living room ,kitchen , and hallways painted SW Agreeable Gray. Now I want a white for our small master that will blend. I could use some of your fabulous suggestions. Furniture and bedding is white with some aqua in the room. Floors are light, more like an oatmeal color. Also. Would it be ok to use Agreeable grey for the rest of the two bedrooms, excluding the bathrooms? Wow!! That sure is a lot to ask of you..
Hello, will be painting our whole downstairs, I do not have an open space floorplan. The formal living/dinning room have somewhat a separation and most furniture is black and grey. The formal LV faces the family room and is separated by a small hallway/entrance, furniture is leather brown. Kitchen is closed off but could see a little bit of it from the family room. There is also a small bathroom. I have decided on agreeable gray for most of it, but having a hard time deciding on a another color so all the rooms don’t look the same. Maybe the 2 LV’s in AG together with the kitchen ? then hallway/ DR and bathroom something lighter ? Could you recommend a color that is not beige but more into light grey/blue without looking too farmlike? My style is more elegant/modern with some classic and pops of color. Thanks! I love Agreeable Gray! There are several blue-gray colors that would work well. I would love to see more of your space and be able to help you through an Interior Color Consultation. Check your inbox for a coupon code! Hi, I just picked agreeable gray for all main living areas of new constructed home with extra white trim and ceilings. Kitchen cabinets are linen white with brown glaze, ornamental creme granite and pecan hickory fired porcelain woodlook flooring. Master bedroom sw sea salt. Do you think these colors will work especially concerned about kitchen colors going together. Also should I paint master bath sea salt like master bedroom or use agreeable gray in bath? Any advice that you could give me wold be great! Congrats on your new construction home! Since Giallo Ornamental Cream granite has more of a beige/golden undertone and the cabinets will have a creamy feel with the brown glaze, I would pick an overall color that is more beige than Agreeable Gray. Do you have other choices from your builder? Hi! I have recently chosen agreeable gray as my living room color. We are now going to paint the fireplace. I am looking for a creamy, -almost off white color to go well with agreeable gray. Do you have any suggestions? I love Agreeable Gray! There are several off-whites that could work with AG. I would love to help help pick the right one for you through an Interior Color Consultation. I am currently offering a discount, so check your emails for a discount code soon! Hello, I am installing chocolate colour maple cabinets, london grey quartz countertops, and tan porcelain tile in a kitchen reno. I am considering SW agreeable gray walls and am looking for a white colour to paint the ceiling, window jambs and garden doors. My trim is medium oak throughout the house so there is no option to change the trim colour. Can you suggest a white paint colour to coordinate with agreeable gray. Thanks so much. I have several go-to white colors that I love. Typically, Agreeable Gray looks best with a truer bright white or a slight greige off-white rather than a creamy white. Let me know if you would like help finding the right one for you through an Interior Color Consultation. I would love to help you pull together the whole look of your kitchen! Thanks for reaching out and I hope to hear from you! I plan to paint the basement agreeable grey. The sofa is taupe. I think that will work. With that sofa, i don’t know if I should go with a caret that is more beige or more gray. or will both work? Agreeable Gray sounds like it works in your space with your sofa. I would get a sample and test it out on a white piece of cardboard first, though! Take the sample to the carpet store, along with a fabric sample of your sofa (or any other samples of existing elements in your space) to see how they look with the different carpet options. I like to pick a carpet with a slight green undertone (to avoid the pink-beige!). If you would like help with your colors and choosing your selections, I would love to assist you through an eDesign consult. I can view pictures of your space and help you find the perfect colors to pull the look and design of the room together! Thanks, Karen! I hope to hear from you soon. Currently our home is neutral beige and would like to move toward neutral gray (warm colors) Thinking of Agreeable Gray in main living areas i.e kitchen,living and hallway. What would be good color for accent wall in dining room. Also hard to find complimentary colors for bedrooms and bath. We have ivory stone floors throughout with medium dark hardwood floors in bedrooms. We have same stone on shower walls with neutral color accents. Medium oak furniture throughout. We do not have much natural light in den what color would you suggest. Agreeable Gray is definitely one of my go-to warmer gray neutrals. There are lots of options for accent colors/complimentary colors. If you are open to it, I would love to help you find the right colors for your space through an Interior Color Consultation. I can view pictures of your rooms and help you pull all of the colors together. Let me know if you are interested! I would love to help. Hi Laura , I just found your website , I love it , I am debating in painting my entire house walls agreeable gray , I have dark brown kitchen cabinets and light white countertops , I feel agreeable gray washes out w my baseboards and other white trims , is there another gray a bit darker I could use ? Also I like sea salt /aqua sky color due to its tranquility and soothing effects , any recomendations ?? Thanks so much! Try one shade darker than Agreeable Gray on the paint swatch (Anew Gray) to give more contrast with your trim, etc. I love Sea Salt and definitely feel like it gives a spa-like, soothing feel to a space. I love using it in bathrooms, especially. If you need more help with colors, let me know if you are interested in an Interior Color Consultation! Just stumbled across this site and I am getting so much info from just the comments! We are going to be painting our walls Agreeable Gray. I am thinking of either Dorian Gray or Dovetail for our cabinets. Then I am looking at maybe Black Fox for our interior doors. I see from earlier comments that you like Dorian with Agreeable, but what are your thoughts on Black Fox with Agreeable Gray? I’m so glad! I love Agreeable Gray and I do like it with Dorian Gray. However, you will have more contrast with the Dovetail Gray for the cabinets. And yes, I do think that Black Fox would go well with Agreeable Gray! Let me know if you need more help through an Interior Color Consultation. Thanks so much for reaching out! I am looking at painting my entire house Aggreable Gray. I am looking for a good trim and cabinet white color that is not too stark white but goes with Aggreable Gray nicely.I am hoping to use the same white for both. I do not want something too bright. Any suggestions? I love Agreeable Gray! Yes, I have a few favorite off-whites that would go well with Agreeable Gray if you don’t want to go stark white. I can help you find the right one for your space through an Interior Color Consultation. Thanks for reaching out, Eryn! I hope to hear from you soon. I love your paint direction so far! Agreeable Gray is a great all-over paint color and Alabaster is one of my favorite trim colors. Sea Salt, Watery and Auger Shell are also beautiful accent colors to go with Agreeable Gray. There are lots of options to go with your scheme and that could work for the office. If you are open, I would love to help you find the right color through an Interior Color Consultation. Let me know if you are interested! Thanks, Natalie! I hope to hear from you soon. My walls are painted agreeable gray and I love it but I’m unsure on what shade of white to paint all the trim. I have purchased incredible white but I keep reading extra white is the correct shade to go with. I have a natural oak wood floor and wasn’t sure what to use. I would really appreciate any advice. Incredible White is a greige off-white that will work with Agreeable Gray, but I love Extra White since it will give a bit more contrast. Let me know what you end up deciding! Hello! I am struggling with a trim color for my kitchen. The walls are Agreeable Gray, the cabinets an antique white (cream) and the countertops a slate granite look (slate gray, black, white and touches of gold/beige) with white subway tile backsplash. I recently purchased tile (sight unseen) and it is the exact color of the cabinets, refrigerator and an antique hutch in the kitchen. Unfortunately, I wasn’t really going for a monochromatic scheme…I was going to do Alabaster for the molding, but now I’m wondering if I should pick something darker instead. There is a distressed wood grain design to the tiles that is gray that I would like to pull out. I have tried samples of Mega Griege, Anonymous and Urbane Bronze (left over from other rooms), but they don’t seem to coordinate with the countertop that has more of a bluish undertone. What would you suggest? I want to emphasize the gray in the room in order to deemphasize all the cream, but I don’t want it to look blue. When I did SW Colorsnap of my counters Grays Harbor and Mineral Gray were suggested. Would those look too blue and would either coordinate nicely with Agreeable Gray? Thanks in advance! I understand your dilemma! Grays Harbor and Mineral Gray definitely have some blue undertones to them. I do like the thought of going darker on your cabinets to break up the cream, but you may need to pick a warmer gray that will tie in with your granite. I would love to see pictures of your space and be able to help you in more detail through an Interior Color Consultation. Let me know if you are interested and we can get started! Thank you for reaching out and I look forward to hearing from you soon! Hi! Our new build is a transitional farmhouse style. The walls are SW agreeable gray with SW equivalent of Benjamin Moore White Dove trim. I’d like to paint boys bathroom vanity a blue/gray. There is no natural light. Any suggestions? Thank you! Your new home sounds beautiful! I love Agreeable Gray, especially paired with a white trim. 🙂 There are several blue-grays that work well with Agreeable Gray and I would love to help you find the perfect one for your bathroom through an Interior Color Consultation! Hi! We are redoing our new home, we have a 2 story foyer with 18ft ceilings, lots of natural light, the kitchen cabinets are alabaster white with pewter glazing. I am looking for an all over greige color to put in foyer and kitchen and living room. I put up a sample of repose gray and agreeable gray and was about to go with agreeable gray but now I’m having second thoughts that maybe it is too dark. what’s s good gray to paint that doesn’t have to many undertones but is lighter than agreeable ? Thanks ! I would love to assist you! It would be really helpful to see pictures of your space along with the samples you have up in order to select the right color. There is an off-white one shade lighter than Agreeable Gray, but you would be surprised at how paint lightens once you have it up on all walls. It would love to take a look at your space through an Interior Color Consultation. Let me know if you are interested! Thanks, Janet! I hope to hear from you soon. I’ve been using your website for a few years. It’s the site I always come back to for choosing paint colors. I do not love my house and am trying to improve it via painting. I finally decided to paint my entryway and hallway Agreeable Gray. The entryway opens to the dining room and family room (side by side separated by a shared wall). The dining room is painted Anew Gray. I am satisfied with these choices. Now I am trying to figure out color for the family room. The only light comes from an eastern facing sliding glass door. The floor is a honey oak color. The sofa is black leather and the bookshelves are brown black. I put up many of your gray sample suggestions up on my wall. I am leaning toward Front Porch or Gray Screen. What are your thoughts about these colors? Thank you! Thank you so much for reaching out! I’m so happy that my site has been a valuable resource for you. 🙂 Gray Screen is a pretty color with a slight indigo undertone. Front Porch has more of a green-blue undertone and is bit less saturated than Gray Screen. 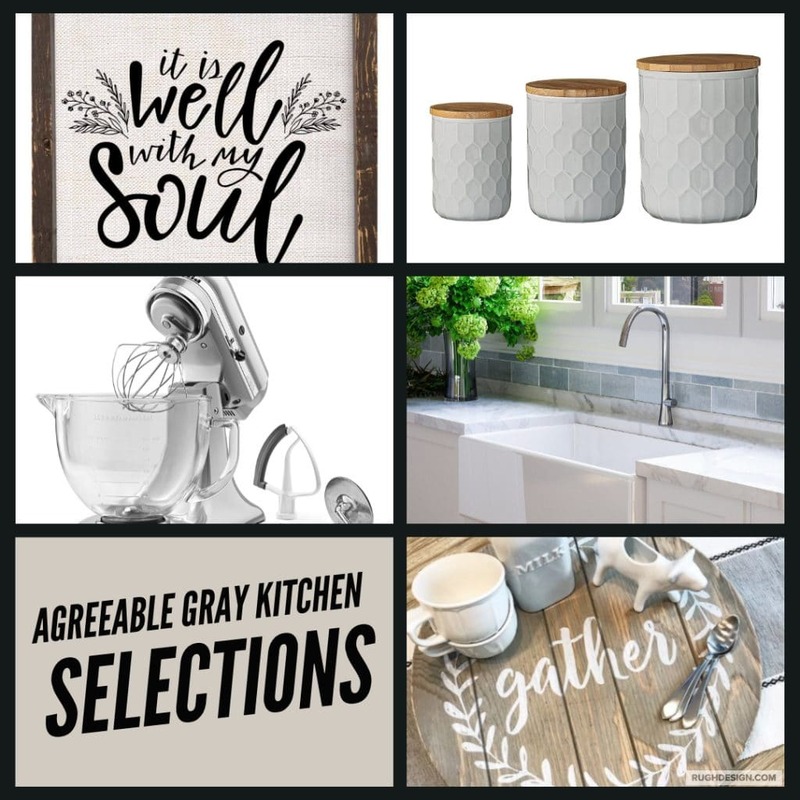 I have a few favorites that I like to pair with Agreeable Gray depending on the other existing selections (flooring, furniture colors, etc.). I would love to help you pull together the look of your home through an Interior Color Consultation! Let me know if you are interested. It would be an honor to assist a faithful Rugh Design follower! Sorry, LoriAnne! I just realized that you told me the existing selections! I would still like to view pictures of your space and talk with you more in order to find the right color for your family room. I totally understand! I’m sorry about your samples. 🙁 You can mix up a custom color in between Sea Salt and Comfort Gray, but Sea Salt can come out looking very blue, so I would definitely get a sample first. I know you mentioned Front Porch in your previous comment. That might be a good choice since it has more gray in it. Grab a sample of both and see what you think in your space with your lighting. No problem at all! 🙂 Let me know if I can help with anything else. What is the best color carpet to use when you walls are painted agreeable gray and trim in alabaster. This is in a bedroom. That’s a great question! I would look for a neutral carpet with a warm griege undertone. Carpets that have a slight green undertone will guard against it looking pinky-beige. I personally like the mid-tone carpet colors that aren’t too light or too dark. Lighter carpets stain easily and darker carpets can make the room feel smaller. Let me know what you end up deciding! Wow! What a great site. You seem to be really thorough in answering comments. I recently purchased a home built in the 80’s with a non-open floor plan (which I love – yeah, I know..that puts me in the minority of most people). It’s also surrounded by trees. With these elements at play it makes some areas of the house darker than others depending on the time of day. I’d like to use agreeable gray throughout most of the house – minus the kitchen and bathrooms. How well does agreeable gray play in the dark/shadows? My darkest areas are the foyer and stairwells leading basement and basement. Any suggestion for white trim? Thanks so much! Agreeable Gray is a good color because it’s a warmer greige neutral that doesn’t get too dark. I recommend making a sample board of AG and putting it up on the walls that tend to get darker to test it out in the different lights/times of the day. That is the best way to know for sure! Let me know if you need further help through an Interior Color Consultation! Our new house’s interior walls are painted agreeable gray. I would like to paint a blue/teal on the ceiling in my craft room but I can’t decide on one that will coordinate well with the walls. Any suggestions? I have several go-to blue/teals that I like to pair with Agreeable Gray. Do you have any other accent blues in the room that you are trying to match? Let me know! I would love to help through an Interior Color Consultation. It’s the best way for me to assess your space and find the right shade! Thanks, Jeanie! I hope to hear from you soon. Thank you for your site! I love Agreeable Grey and plan on painting my lower kitchen shaker cabinets AG with white uppers. The counters will be Taj Mahal quartzsite. The tile will be 3×12 handmade ceramic white tile in a herringbone pattern. The floor is a handscaped medium brown with floating shelves the same color on some walls. SS appliances and white farm sink. My question is regarding the hardware that would better suit the kitchen.The doors, trim, and casings are all bright white. I have black iron door knobs throughout the house and a black iron stairwell (which is not seen from the kitchen). Should I go black hardware, chrome, or satin nickel? Or jazz it up with brushed gold? Thank you so very much! I’m so glad that you like the site! Agreeable Gray is a great color and I love your other kitchen selections as well. 🙂 I like the thought of jazzing it up a bit and using brushed gold! If you want to go with a more classic look, satin nickel is great too. My advice would be to skim through Pinterest and check out some kitchens like yours with the different hardware finishes. See which inspiration pictures “speak to you” or jump out at you and go with that finish. Let me know if I can help with anything else color-wise! I am doing a baseball theme in my sons nursery. I plan on painting 3 walls agreeable gray. The 4th wall I need to be more of a white/cream b/c I am adding baseball stitching to make it look like a big baseball. What paint colors would you recommend for that baseball wall. I think it needs to be a white but I don’t really like pure/plain white. Any suggestions that would go with agreeable gray? So cute! I love the baseball theme nursery idea. 🙂 My favorite off-white to pair with Agreeable Gray is Alabaster. There are a few other off-whites with a hint of greige to them that also work well with AG. Let me know if I can help further through an Interior Color Consultation! Sometimes it depends on the other fixed elements you have going on in the space (flooring, trim, etc.) or the furniture that you are planning to put in the room. I would love to help you find the perfect shade of white! We painted the entire interior of our house SW Softer Tan in hopes that it would coordinate with our orangey honey oak cabinets. We just installed new carpet in the living room and bedrooms, called Shaw Early Dawn. While we thought the carpet had a subtle tan undertone and would coordinate well with the softer tan paint and oak trim, it turned out to more grey undertones. Now the softer tan on the walls looks way off. I am thinking of painting the walls either Agreeable gray or Accessible beige. Do you think either of these two colors would tie in with the orangey honey oak cabinets and trim? I plan to paint color samples on the walls before we make our final choice but would appreciate any advice you might have. Thank you! You are on the right track with Accessible Beige and Agreeable Gray! Both are still warm neutrals, but have some “greige” undertones that will compliment the gray in the carpet. Definitely try some large samples of both of them right next to your carpet to see which one works best. Accessible Beige has more of a warmer taupe undertone, while Agreeable Gray tends to be a bit cooler in tone. Let me know if I can help you narrow it down through an Interior Color Consultation. I would love to help! I really enjoy your site. I am going to be painting our small beach condo Agreeable Gray with extra white baseboards and ceiling. I am curious if I choose to paint an accent wall that will bring out a small amount of blue, what color would you suggest? I do not have a lot of natural light. Thank you so much! I love Agreeable Gray, especially paired with the Extra White for the trim. There are lots of options for a blue accent wall. Are you thinking dark or subtle? A medium-toned gray-blue is really pretty paired with Agreeable Gray. Let me know if I can help you find the perfect color for you through an Interior Color Consultation. I would love to be of assistance! I am thinking of subtle / medium-toned gray-blue. What are your top 3 picks? I can help you find the right medium-toned blue through an Interior Color Consultation if you are open to it! It’s really the best way for me to accurately assess what undertones you currently have and what colors will look best. I’ve really enjoyed reading all of the questions and responses on your site. I look forward to hearing from you in regards to my dilemma. I recently bought a home that was painted in a dull but very dark grey color. I finally after weeks of searching decided on changing the color in the hallway, formal living and family room to Agreeable Grey. I wanted to add an accent wall in my formal (which is the first wall you see when you walk in my home) to a deep grey blue but everyone is telling me my color choice is way to dark. Do you think a dark grey blue color is too much? I have a very open concept home. You walk in the front door and are met with the hallway to the left is the formal and sitting area, separated by a half wall is the kitchen which is open to the family room. My kitchen has white cabinets and an island that was painted a turquoise color. I tried a very soft BM Light Pewter and am very unhappy with it. I need help with a color for the walls in the kitchen as I wasn’t sure if painting the entire front areas of my home in the same color. If I did what color should I paint the island. I was going for a clean crisp look for the kitchen. Thank you so much! To answer to your question, I think that accent walls used appropriately can be a nice addition to a space. I’m not sure which gray-blue you are looking at, but I would love to help you find the right color for a possible accent wall and one for your kitchen through an Interior Color Consultation. I can view pictures of your space and be able to more accurately find a color that will work best in your home. I am using Agreeable Gray in my new home. I would like a golden yellow for the dining room and a red color for the kitchen. Both of these rooms intersect with rooms that will have agreeable gray. I am more of a ‘warm’ than a cool color person, but I use black accents and/or black wood furniture in every room. I have searched and I cannot find anything to help me along. It can definitely be a challenge to find the right colors for your home. I would love to help you nail down the perfect colors through an Interior Color Consultation. That is the best way for me to view pictures of your space and to see your current selections in order to recommend the perfect colors. Let me know if you are interested! I just had my entire house painted in SW Agreeable Gray. Unfortunately, the rooms I tested the paint in was not a true representation of what it would like like as I tend to see more beige than gray. My living roomfurniture and decor includes dark wood floors, dark leather sectional and Pottery Barn’s Bosworth rug (midnight blue and gray blues). In addition, my dining room chairs are Atlantic Blue. Now seeing the darker walls with my dark blue accents makes me really question my paint color. Do you recommend blues with Agreeable gray? If not, what accent colors do you recommend and can you recommend a color two shades lighter with no brown undertones? I’m so sorry that Agreeable Gray didn’t turn out the way that you were expecting. It sounds like you have mainly brown undertones going on in your home (in addition to the blues). That is most likely why it is looking more beige than gray. I would love to see pictures of your home to get a better idea of what you have going on and help you find the perfect colors to coordinate. Let me know if you are interested in an Interior Color Consultation! Hi Laura, I just discovered your site and love every bit of it! Our house was flooded during Harvey and we are rebuilding the entire first floor now. Our house has open floor plan with the main living with 20 foot ceilings. I have decided to use SW Agreeable Gray as the main wall color (main living room/hall/kitchen) throughout my house. The main living room fire place has a large picture frame from the top of the fireplace mantels almost up to the ceiling, its kind the focal point of the house. The area was painted with SW6100 practical beige before. The contractor kind leaning toward leave this place out(save him some effort). I just want to know if agreeable gray would go with practical beige. If not, what color would you recommend? By the way, I have already ordered off white/ivory colored cabinets; and the kitchen island/sink is directly facing the fire place. Thank you so much! I’m so sorry about your home. I am from Houston and was so devastated to see the effects of Hurricane Harvey. I hope the rebuilding of your home has been a positive experience so far. I love Agreeable Gray! It will go great with the off-white cabinets. I wouldn’t recommend keeping the Practical Beige with the Agreeable Gray. Practical Beige is a pinky-beige and Agreeable Gray is a greige. In other words, the Practical Beige is a bit too warm and beige/tan and won’t go well with the cooler gray/beige of Agreeable Gray. Since the fireplace picture frame trim detail is the focal point of the room, it’s worth it to get it right! I would recommend going a few shades darker than Agreeable Gray for the accent color inside the trim. If I can help more, let me know! Our new build (horse ranch) is a Lodge-style home with two-tone dark flooring, stone fireplaces, grey/brown barn wood accents and grey/taupe cabinets). In keeping with the cozy lodge feeling, I have recently picked Anew Gray at 75% for the great room with Cathedral ceiling (stained beams), the hallways and also some other rooms that have a Southern exposure. The Northern exposure rooms I’ve went a bit warmer with 100% Anew Gray. White trim in any tint doesn’t feel right in this style of house, so the trim will be done in the same wall color with each room having medium-dark alder wood stained doors. I’m looking for a color to lighten the ceilings, but keep things cozy. Do you feel Agreeable Gray would work for a ceiling color throughout? Or do I need to go more into a lighter grey ceiling color alongside the tones of Anew Gray? Thanks so much! Your home sounds beautiful! Since your ceilings are so high, Agreeable Gray could definitely work. I personally like the white ceilings, but if you want to have less contrast, you could lighten Agreeable Gray (50%) to have some color, but keep it light. There are also a few off-whites that have a greige undertone that would work if you don’t want to customize AG. Thanks for reaching out and Happy Holidays! I am painting a nursery and want to do gray and a very light pink. I have already begun painting and my gray is looking purple. Thinking about using the agreeable gray. Will this give a purple look with the pink? I love your gray and light pink nursery color scheme idea! I recommend doing a cooler “true” gray versus a warmer greige like Agreeable Gray. I have several go-to grays that would look beautiful with the soft light pink. I would love to find you the right one through an Interior Color Consultation! I hope to hear from you soon. Thanks so much for reaching out and Happy New Year! Your website is fantastic! I’m having my aunt’s condo painted to sell and I’m thinking of using SW Agreeable Gray for the walls with Alabaster for the ceiling throughout the whole house. The trim and doors are all mahogany wood stained a medium brown. My concern about the bathrooms is the counter and tub surround is kind of a light ochre color and not sure if the Agreeable Gray would go well with it. What do you think of my plan? Also, I’m thinking maybe the bathroom ceilings should be the same color as the walls because they are small rooms. Thank you! Thank you so much! Agreeable Gray is one of the top colors that I specify for clients. It is a beautiful warm greige that will go well with the wood stained trim and doors. You are right to question the bathroom color combinations. I would strongly consider either using a different color in the bathrooms or changing out the counter and tub surround. The ochre color is not the best combo with the Agreeable Gray. Let me know if I can help you find the right color for the bathrooms (including the ceiling color) through an Interior Color Consultation! Thanks for reaching out! I suggest going a few shades darker than Agreeable Gray for your living room. This will coordinate with your blue-gray hues and transition from the Agreeable Gray in the other areas of your home. If you would like help nailing down the perfect color, please feel free to contact me for an Interior Color Consultation. Cane acrooss your site and I absolutely love it! I am currently using agreeable gray on my foyer and 2 -story living room- I am debating what to do with the Kitchen wherer go darker or lighter. Its an open concept with lots of lights. Then there is the formal dinning room which is adjacent to the kitchen. Its so hard to visualize since the house currently has very vibrant colors from the prevoius owner. I want it to feel open, light and airy- any suggestions would be greatly appreciated. Great name. 😉 Thanks so much! I’m glad that you love the site and have found it to be helpful. It would help me so much to see pictures of your space. Your colors will depend on what your current selections are (like floors, kit cabinets, countertops, etc.). I would love to help you nail down the right color through an Interior Color Consultation if you are interested! Hi Laura, I am so thrilled to have found your website! We are painting our entire new house Agreeable Gray, and our crown molding color is Kelly Moore Swiss coffee. I am wondering what ceiling color is best, to still allow the crown molding to stand out. Thanks so much! Thanks for reaching out! My favorite go-to white ceiling color is Extra White. It’s the perfect true “bright white.” It will give you some contrast against the trim and will work well with Agreeable Gray too. I have read this whole thread while looking for colors to coordinate with agreeable gray walls. So thankful for what you share. I must have 20+ paint samples, as we are trying to transition from Kilem beige to warm grays. I want a lighter feel like it’s some nice deeper accent walls. I know you often suggest a personal consultation. Not an option right now since we already paid for one who actually came to house-from a Sherwin Williams color consultant-so husband doesn’t want to pay another. Any help suggestions greatly appreciated. I have read that you feel Agreeable Gray and Dorian Gray can pair nicely together. I am leaning towards that combination as my next attemp to solve the problem we keep run into. I have two hesitations. I feel the Agreeable Gray needs to be deepened, but don’t want to go brown (so Anew Gray is out). I worry if Dorian will reflect green line Repose did since on the same strip? We have tried lighter grays which looked great except on long wall that runs front of house entry and leads back to two story great room. The corners of this wall where light floods in from adjacent rectangular wall of windows reflects blue/green and even red/maroon if in the paint(back wall of windows is west facing) with fireplace in middle. We tried lighter shades from Crushed Ice/On the rocks to Repose (all reflected green-Alpaca-red, all blue grays don’t work-too many warm tones and also reflect blue green. The color consultant came out and suggested pussywillow as a dark accent wall on fireplace/Wall of windows wall (hoping darker color would reflect on the long adjacent wall) and Collonade everywhere else in main opened areas. I had tried both Agreeable and collonade on this long wall adjacent to wall of windows.in quart samples. I liked collonade in the quart sample samples and painted it actually on the walls in a quart. We bought a gallon of the Pussywillow and gallon of the collonade. Pussywillow is very dark, even with lots of white trim and white fireplace surround and has a muddy green/brown undertone. I like cleaner grays, but know I need the warm undertone to deal with light warm beige carpets, warm brown hickory floors and cream marfil in fireplace, sable brown kitchen cabinets with granite that has warm golds, whites/creams blacks and grays. I want a warm gray tone, not brown at all. Though torn between the Collonade and Agreeable Gray, after trying the quart sample in flat, decided the Collonade would work better with deeper tones that should cut down reflecting problem. BUT when I started painting from the new gallon, the Collonade color was totally different than sample if quart. Instead of a gray with very nice warm undertones the gallon was an awful yellow/greenbrown with red/black dark undertones and paired with Pussywillow was so dar-made the cream marfil look almost orange☹️. I am strongly considering going back to Agreeable on main walls (the entry, great room/kitchen) and possibly Mindful or Dorian Gray as accent on fireplace/wall of window wall and the short stairway wall directly across from it which receives the most light). But, I need to deepen the Agreeable gray without loosing the gray + warmth tone. Will A 125% Agreeable with a little extra black added Work paired with Dorian and/or mindful Gray? Also, I’m afraid of the color changing too much from quart sample to gallon size like the collonade did. The quart of collonade used black and raw umber-but the gallon combined black, maroon and deep gold. It’s very expensive to buy gallons that don’t work to sample. So afraid of how to customize the agreeabke to keep the color, but not end up with brown. I love your blog! I am debating between Agreeable Gray and Repose gray for an English Basement with limited sun light. There are only 2 small windows and lots of can lights throughout it. I do not want it to be too dark. White carpet and a small area with white washed wood floor. Thank you! Repose Gray is a bit cooler than Agreeable Gray and will help to open up your basement a bit more. Also, it is one of my favorite go-to colors right now. 🙂 Let me know what you end up deciding! I am having a very hard time picking built-in bookshelves to match my living room color (which I currently have painted agreeable gray). The living room is open to the kitchen where I have cabinets painted in white dove by Benjamin Moore. I was all set to use pussywillow by Sherman Williams for the bookshelves color, but it almost casts a purpleish look to the agreeable gray when I painted the wall. I am looking at mindful gray…but do you have any suggestions? Thank you so much! Thanks for reaching out! I might go even a few shades darker than Mindful Gray for some contrast. Or, you could go with a medium-dark gray blue color for something a bit different. Let me know if I can help you nail down a specific color for you through an Interior Color Consultation! 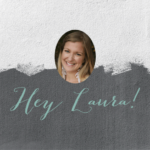 Hey Laura- love your site! I was hoping you could help with a color dilemma! We have Agreeable Gray on all walls. We have a darker hardwood with a slight grayish tone. We have Dove White cabinets and either White plantation shutters or warm woven blinds on all windows. We really like a warm grey look not a blue gray but also not a brown gray. We are looking to paint all of our interior doors with an accent color. A warm gray? Or other suggestion that would help our home feel a bit more custom! Ty so much! Thank you so much! I suggest going a few shades darker than Agreeable Gray (on the color swatch) for your interior doors to coordinate and keep the undertone a warm gray. I love the idea of going darker on the doors and trim for an interior! Let me know how it all turns out. If you need more help, I would love to assist through an Interior Color Consultation. Hi, We are moving into a new townhouse. The lower level is open concept through the living and dining area and part of the kitchen (where it rounds the corner. Ceilings are 10 feet with huge windows facing East. Medium color hardwood floors throughout the space. Kitchen countertops are a darker grey quartz. Currently kitchen cabinets are white and do not go to the ceiling. Looking to paint walls, trim and cabinets. I am looking at Agreeable Gray for the trim and possibly the cabinets. Trying to find a white for the walls that is warm but light. I picked up a can of Incredible white but am concerned it might have a pink tint. Haven’t painted it yet. Also will be adding another section of cabinets that will be around the corner and not visible from the living area. Plan to make this a coffee station. Would like to consider a contrasting or coordinating color to paint those cabinets or something more dramatic with a blue/green. Love Dovetail and Anew Gray. Thank you!! Thank you so much for reaching out! I love your idea of painting your cabinets in Agreeable Gray! Are you looking for a soft contrast against the walls? If you would like a bit more contrast, consider going one shade up from AG to Anew Gray. Then, you can look at some gray-blue/green options for your coffee station. Incredible White is one shade lighter than Agreeable Gray, but if it is looking off in your interior, then consider going with a different color. Also, like I mentioned, it won’t give you much contrast against your cabinets. I have several go-to whites that I love that are not too stark white, but don’t have any weird undertones that will coordinate with Agreeable Gray and/or Anew Gray. I would love to help you find the right one through an Interior Color Consultation! Keep me posted and let me know if I can help. Thanks, Patrice! My son is 7 years-old and wants a bold blue accent wall. The rest of his room is going to be painted in SW Agreeable Grey. What Blue compliments Agreeable Grey? I was wondering about Oceanside. There are tons of options for blue accent walls with Agreeable Gray! I really like the darker blues that have some gray to them to soften the look a bit. I have several go-to blue-grays and would love to help you find the right one! Let me know if you are interested in an Interior Color Consultation and we can look at what will work best in your space. Thanks so much for reaching out, Lauren! We are remodeling our entire home as we recover from flooding due to Hurricane Harvey. To keep things simple we decided to paint the entire house Agreeable Gray. Maybe one of these days we will go back and add some accent walls but right now we are just ready to be able to move back in! But, we have a brick fireplace that the previous owners had painted over and we’ve never been a huge fan of the colors they chose. So we’d like to paint it something that goes more with our new color scheme. We were considering going a bit darker, maybe Dorian Gray? And then unsure on whether to go darker or lighter on the mantle and the top of the seating in front of the fireplace. I think lighter would be pretty but my husband thinks it will get very dirty which is probably true. Any suggestions? Thanks so much! Thank you so much for reaching out! I’m so sorry that you were impacted by Hurricane Harvey. I am originally from Houston and it was so heartbreaking to watch the impact and continue to hear stories. I’m glad that you are using Agreeable Gray for your remodel because it is one of my favorite go-to paint colors. 🙂 In answer to your fireplace questions, I typically like to go lighter on the fireplace and do a white or creamy off-white. You can definitely go darker if you would like and Dorian Gray is a good choice. I would just consider how much fireplace there is in the room (does it go all the way up to a cathedral ceiling?) and make sure that a darker color wouldn’t make the room start to feel dark and cave-like. Reading through these questions and your comments have been extremely informative. We painted our main living room area area gray and love it. I’m now planning to paint the adjoining room which has 13’ ceilings, 1 very large west facing window and 1 very large east facing window so, there’s a ton of natural light. I painted a swatch of agreeable on the walls and it looked white. I thought about using anew gray but am afraid it might read too dark it beigey. Have you ever mixed agreeable and anew gray together? How do you think that would turn out? Thank you! Thanks so much! I have not personally experimented with mixing the two colors, but it is worth a try! Talk with your Sherwin-Williams rep to see what they can mix up for you. Try a sample of the mixed color, along with a true sample of Anew Gray to see how it looks in your space. If Agreeable Gray looked so light in there, then Anew Gray shouldn’t make it feel too dark, but it is always wise to test a sample out first. If you need further help nailing down the right color, please feel free to reach out for an Interior Color Consultation! I would love to help. We have picked Agreeable Gray for our living room with lots of natural light and Mega Greige for an accent wall. The trim in the house is orangish oak. Will the orange/yellow under tones of Argreeable Gray and the orange/yellowish trim be too much? Thanks for reaching out! Agreeable Gray is a warmer greige neutral that can go with oak trim, but there are a few other options that are a bit cooler and would help tone down the orange-yellow tone in the stain color. I would love to help you find the right color through an Interior Color Consultation so that I can view pictures of your space in order to make the best choice. Let me know if you are interested! My husband likes agreeable grey for our interior. I am concerned about it going with our oak kitchen cabinets that he will not let me paint or replace. We have oak cabinets with black beige marbled countertops. What do you think? Your sight opened my eyes. We built our home and painted all walls the color Agreeable Gray painters edge. Now my problem is after moving in some wall areas needs to be touched up. I went back to Sherwin Williams asking for Agreeable Gray but when I got home it’s a slight shade darker than what’s painted already. How do I go about asking for the same color of Agreeable Gray it needs to be lightened? That is so strange! My advice would be to take in a paint can from the first paint job and have the Sherwin-Williams store match the color. There is a sticker on the top that has the color combinations that they mixed to get the paint color. If you don’t have the paint can still, try contacting your painter and see if they can tell you where they purchased the original paint from. If they had it “color-matched” from Lowes or Home Depot, there is a chance that the color is not the exact same as the Sherwin-Williams brand from their store. Let me know if I can help with anything else! I hope it gets resolved soon. It is definitely worth a call to your painter and some coordination with the Sherwin-Williams rep to get it right. Thanks so much for reading the blog and for your comment! Im in love with agreeable grey and think it would work for most of my house except myloving which has an olive color couch. Do you think it would match with green? I always see it paired with grey or blue..
Olive green tends to work best with a cooler gray or a warm beige. I would paint a sample board of Agreeable Gray and put it behind your sofa to see how it looks in your lighting. It will also depend on how you accessorize the room. Let me know if you still need help and I would be happy to find the right color for you through an Interior Color Consultation! We are building a home that has a living dining kitchen open space. The cabinets are waypoint painted some with a navy blue island. I am having a hard time deciding between passive, colonnade, and agreeable for the walls. Trim is snowbound. Any suggestions? Thanks for reaching out! Passive tends to have a slight blue undertone to it, so it could work with navy, It will just depend on if you are okay with a blue undertone for your overall paint color. Colonnade Gray is a cooler gray and could also work! Agreeable Gray is one of my go-to choices for a warmer gray/greige neutral and will also go with navy (and Snowbound for your trim). Let me know if I can help you narrow down your options! It always helps to paint some large cardboard samples so you can see how they each look in your lighting. Keep me posted on what you decide! Would alabaster work for the trim with agreeable and anew gray? I’m trying to find a warm white since I can’t afford to change my cream heavily glazed cabinets. My tile is also very tan, but fortunately has a gray grout that will help tie together. Trying to sway from my very Tuscan home while maintaining some of the rustic feel. Bright white and farmhouse just won’t go here, but that’s where my heart is! Trying to merge the two :). Thanks so much for any help. I’ve literally bought 14 paint samples so far!! Keep me posted on your progress and let me know if I can help further. Thanks, Molly! I enjoy reading your blog. It provides a lot of good information. Appreciate any suggestion for new house master bedroom custom cabinetry and nightstand paint color choice. Agreeable Gray SW 7029 painted walls. Pure white SW 7005 painted trim, ceiling, including a sliding “barn” door. The room faces east. 10-foot ceiling height. Good light. Hi I would like to ask you whats best color SW Agreeable Gray or SW Accessible Beige goes with SW Dover White kitchen cabinets? I have raw oak dining table and chairs. I have SW Repose Gray hallway and living room. I would go with Accessible Beige since it has more of a beige undertone than Agreeable Gray. It will coordinate a bit better with your Dover White trim. Keep me posted on your project! Hi Laura, I came across your blog and it has been extremely helpful! The only thing I’m still stuck on is finding a good carpet color to go with agreeable gray bedroom and Extra White trim. Do you have any recommendations? Thanks in advance! Hi Laura! I came across your blog and it has been extremely helpful! The only thing I am still stuck on is after painting my trim Extra White and my walls agreeable gray for the bed room, is finding a carpet color to go with it? Do you have any recommendations? Thanks in advance! Thank you! I’m so glad that it has been helpful to you. 🙂 I would look for a carpet that has a greige undertone that is similar to Agreeable Gray. It doesn’t have to match it perfectly, but should have an undertone that is a warm beige-gray. Bring a painted sample of Agreeable Gray with you when you shop for carpet. Ask the carpet store for a large sample of the carpet (instead of the teeny squares on the sample boards) and prop up your Agreeable Gray sample vertical on the wall next to your carpet sample laid flat on the ground (like it will be in your bedroom) to see how it looks in natural light. Thanks again for reaching out! Have a great week. I am so happy to have come across your site! PLEASE HELP 🙂 We are in the midst of remodeling our WHOLE house! We have our guest bathroom (almost) complete. We are deciding on paint colors and would LOVE your advice. Here’s what we know so far — our kitchen cabinets were purchased at granite expo in the color M20 (http://www.thegraniteexpo.com/woodcabinetry.php?path=004001&model=004001). Our guest bathroom has gray flooring with a brown undertone. The shower has 2 tiles one a lighter gray and the other a gray/brown. 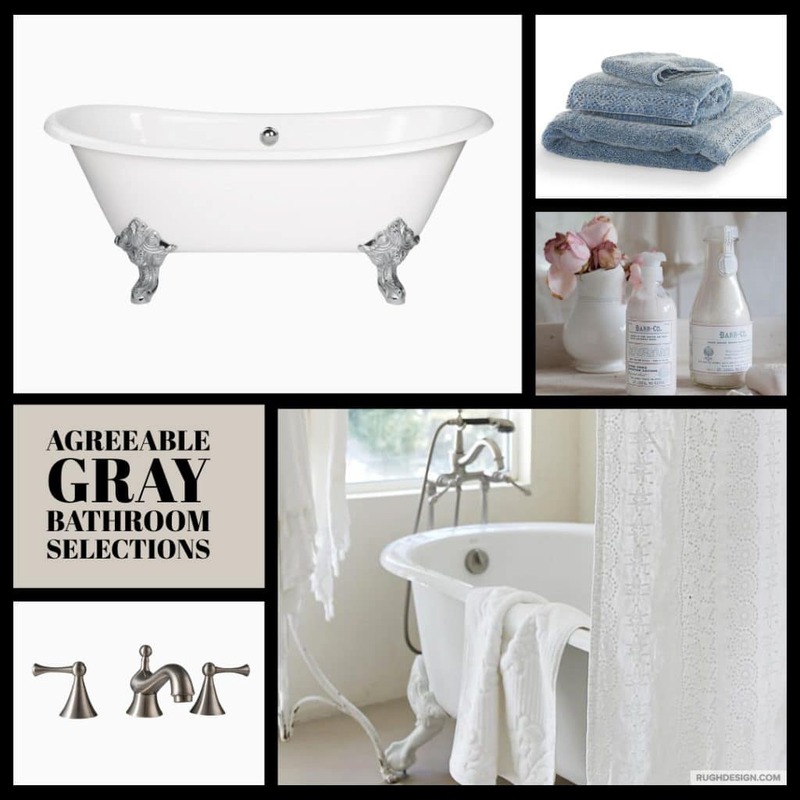 For the master bathroom we are more likely to move into an “all gray” color scheme. Kitchen and living room are open concept (or soon will be) with good lighting in the living room -assuming it will brighten up the kitchen once it becomes open concept. We would like to stick to 2 paint colors, but I think I can convince the hubby if 3 are needed (thinking trim and ceiling). Here is what we are thinking: Agreeable gray on all walls throughout the house except kitchen and bathrooms. In kitchen and bathrooms we tried decorators white (BM) and like it. I really like the agreeable gray in the living room. I’m concerned the agreeable gray and decorators white not “matching” and then that also leaves the question of trim and ceilings. OMG I said a lot. Please help. THANK YOU!!!! That way I can view pictures and we can communicate over the phone to select the colors that will work best in your space(s). Thanks again for reaching out and I hope to hear from you soon! Hey Laura! I am trying to update my beige / brown color scheme to add some grey or greige! My kitchen cabinets are ivory with a mocha glaze and the granite is beige / brown with medium to dark wood floors. The walls are currently a camel color. I am thinking of doing Agreeable Gray to work some grey into the color scheme. Do you think this will work even with ivory cabinets? The Trim is Dover White. I have been driving myself crazy over paint colors! I have a small cottage home, and I really like the white walls trend. I have been seeing more of the inverted trim, and I really like it! I have been thinking of painting my walls Dover White and using Agreeable Gray as my trim. Would I paint the ceilings Dover White as well or use something different? I was also hoping you could help me pick a color for my kitchen that would work well with the agreeable gray trim, and I would incorporate that in my wainscoting in the entryway, as well. I keep thinking Sea Salt would look pretty! Anything would be helpful! 🙂 Thanks so much! Oh no, it sounds like you are in the paint picking fog, eek. I would love to help you situate your ceiling color and pick a color a soothing color to go with AG in your kitchen! I offer a variety of Color Consultation and eDesign packages for projects such as yours. You may see examples of my work on my portfolio page. Thanks, Barbara Ann! I hope to hear from you soon! Hi! We are waiting our open concept living area and kitchen agreeable gray. We originally chose Decorator’s white for trim and ceilings, but now wondering if i should do a lighter gray on the ceilings? We have tray ceilings in living room. Can you suggest a color for ceilings? We are looking to paint our currently super dark and narrow laundry room. We will be updating and installing an offiwhite mudroom bench and matching the cabinets with this color. We have icky taupey tile which we will eventually get rid of. Do you think agreeable grey would work on the walls? Or maybe something even more greigy? Thanks for reaching out! I love Agreeable Gray as a greige for a narrow laundry room. It looks great paired with white/ off-white trim. Keep me posted on your design project! Remodeling our home and I literally am freaking out! Going with either Worldy Gray or Agreeable Gray for the huge open area (kitchen, dining, living, foyer). I want an accent wall in a different color (leads upstairs). Am thinking Grizzle Gray(?) to display a big photo collage. Would then do our bedroom, which peaks out under the stairs, in CityScape. Maybe Sea Salt or Silver Strand in laundry and guest bath. Am I on the right track? Or am I nuts? Of course I must make this decision immediately. Can you help me? It sounds like you are on the right track with coordinating colors! 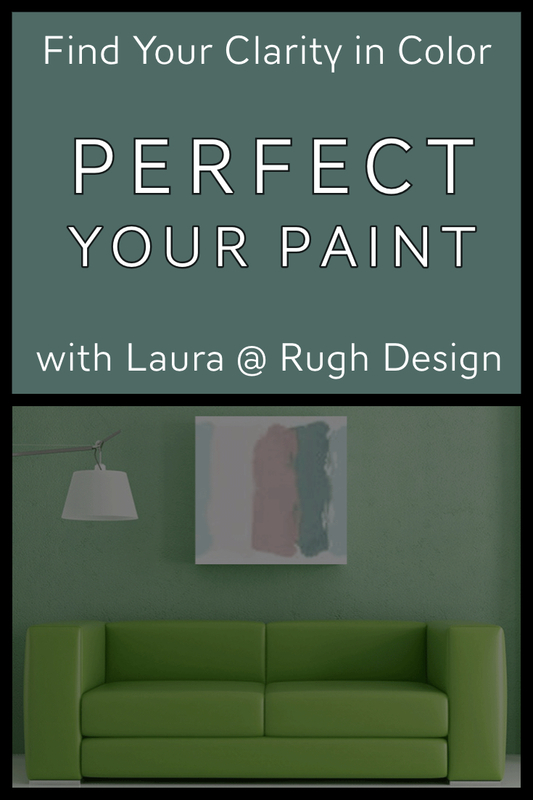 I would love to help you nail down and firm up your choices through an Interior Color Consultation if you are open to it. I can view pictures of your space and your selections (flooring, etc.) to make sure that the undertones are working well together. I also offer Express Turnarounds for projects that are more time sensitive! I hope I get the opportunity to work with you on your remodel! Hello! I am looking at buying curtains for my (very informal) dining area. I’d like them to look attractive, but their main purpose will be to block summer heat. Our walls are painted agreeable gray, the trim is white, and we have hardwood floors. What color curtains could you suggest for our small 1940s bungalow style home? I just love your website. I’ve had to make some quick decisions about paint colors to sell my home and this has been so helpful to get confirmation on my choices (especially the discussion on Agreeable Gray). I will probably reach out for a Color Consultation one day when I need it. Hi. I love reading all these comments and love your site. We are moving into a home where the kitchen was recently redone but the cabinets are a lighter wood color and the granite has the brown specks. Can I get a way with agreeable or should I stick with the brown colors? I want to redo the downstairs bathroom with the grey colors as well. I would like to get a a darker grey or taupe color couch. Any help with be greatly appreciated. We have red-oak trim and red oak floors and are keen to brighten up our home. Would agreeable grey do this? I think the contrast would suit, but I am concerned about the blue tones being too dark? We are thinking of painting our living room SW agreeable gray. The living room is adjacent to the dining room and is currently painted a “cool” gray with blue undertones. It is open concept with no doors – the rooms share an inside corner so the paint colors would not be immediately next to eachother. Does it work to have a warm gray and cool gray near each other? Yes, if the gray has a blue undertone to it, then it will work well with Agreeable Gray (a warm greige). I do always suggest getting a sample to see how the color looks in your space. Keep me posted on what you decide and let me know if you need more help through a Color Consultation! Helle, we are building a house and I could use help with the kitchen. Calcutta Nuvo honed for countertops with glass subway tile for backsplash. Color is biking in moon-ster and series is Wanderlust. I am thinking of doing Agreeable grey for cabinets or alabaster. Kitchen is L shaped with large island and no upper cabinets. Really want to use a dark grey for island and not sure if it will be too much. These cabinet colors are the ones they stock where i am having them made. My question about s what color cabinet would look the best. Will have loads of natural light. I have 3 windows above sink and one on either side of the hood. Floor plan is open to the den. For a more classic look, I suggest using Alabaster. That way, when the gray trend starts to phase out some, you won’t have to re-paint your main cabinets. Have fun with your island color, though! That is easy to paint again if you need to. Keep me posted and let me know if you need help through a Color Consultation. I’m searching for a wall color for an East facing wall. I love agreeabl gray. Do you think it would work? I have SW creamy trim color. If you can get a sample of Agreeable Gray, test it out in your lighting first and right next to the Creamy trim. I do think it could work well, it will just depend on your other selections in your home and how the sample turns out in your space. Keep me posted and let me know if I can help further through a Color Consultation! I have an open floor plan with ebony and true black mix stain on floors. I’m painting the first floor Agreable Gray but I would like my kitchen (white cabinets) to be more fun and somewhat a brighter blue, green teal type of color. Any suggestions? We’ve just painted our main areas, i.e. foyer, family room and kitchen with Agreeable Gray. I’m looking for a color for the sun room which is right off the kitchen and family room. Would Gauntlet Gray be a good choice for a sun room. I stumbled upon your website in my search for agreeable gray answers. I have an open floor plan…kitchen and den w/lots of windows. Currently have a very blah, very light neutral wall color with white trim with tray ceilings. My kitchen cabinets are a light cherry with my granite a busy brown. My kitchen is fairly small with a small island including cooktop. My wood floors are a light to golden color. My question is: What would my makeover color scheme be? I would like to paint my walls Agreeable Gray with white trim. Will agreeable gray work with my light floors? Also, I would like to paint my cabinets (against my husbands wishes) an ivory color and change the pulls. How difficult is it to paint cabinets with a smooth finish? So many questions…….so many color choices! Thanks in advance! What a fantastic site! As a “base” I have AG walls, a “beigey” ceramic tile floor and white subway tile with Dallas Gray granite countertops- really like Bedford Gray (Martha Stewart) for painting the cabinets but now second guessing that choice against the AG walls. What do you think? Thank you! I got your PM and responded. I appreciate you reaching out so much and I look forward to the opportunity to work with you! I have an open concept kitchen and we built a covered screened porch which makes the kitchen pretty dark. It is currently painted BM White Sand, with oak floors and cabinets. I am thinking about painting the cabinets white, having the floors refinished and the walls agreeable gray since the I am in process of painting the living room and dining room AG. and they do get more light then then kitchen does. Since the kitchen and family room are basically one room they both need to be the same. The family room is a bit dark also. I am trying to figure out the cabinet color and will be painting a sample of the AG shortly. I am also trying to decide on floor color. So basically a mess. Like many before me, I came across your wonderful website in search of the perfect warm gray. I am currently trying to find a color to paint my mostly sunny, high ceilings open family/kitchen (some darker areas). The foyer is currently painted BM Bleeker Beige. It is a 2 story foyer which my husband painstakingly painted a number of years ago, so it is staying for now. The kitchen/family room is separated from the foyer by a door way. Originally, I was looking at Edgecomb gray because I wanted a light greige. Then doing research I cam across Agreeable gray. It seemed like it was a little deeper and more gray than Edgecomb. I am trying to make the transition from beige to warm grey and wanted to get your thoughts if I am headed in the right direction. I planning to buy new furniture and I am leaning toward a gray sofa with white/navy/gray chairs/accents. I wondered your opinion on Agreeable Gray for perimeter cabinets and Anew Gray for island in a U shaped medium size kitchen with not a lot of natural light. The kitchen opens to a 2 story open floor plan breakfast room, living room, etc. Our counters will be a quartz that mimics calacatta marble. Thank you for this wonderful blog and any feedback. Looking for a good dark blue gray that goes with Agreeable gray. We are painting our kitchen and living room agreeable gray but think maybe we need a pop of color on a wall with a fireplace. My husband says we should use Sea Serpant (we used this color in our bedroom). But I am hesitant and unsure how it will look. Any recommendations? I have agreeable gray on all walls now. I used Extra White for trim- love it. 1. I am redoing my kitchen table and chairs- walnut stain on top of table and seats but don’t know whether a true white or an antique white is better for the farmhouse look. Not sure if I should use different whites- ie, bright on trim and then antique on table? I am afraid of it either being too stark white or too yellow..
2. I will be repainting my hickory cabinets soon… was thinking Alabaster, but really want to lighten the room. The floors are a very dark stain, and the granite is dark with some creamy whites in it…..
HI, I just bookmarked your site. Love It! I think I will use agreeable gray for one of the bedrooms in my wall. I am seeking a color for the trim. I was thinking storm cloud /extra white/ comfort gray. There is something about storm cloud that I LOVE, but am concerned that it wont work with it. 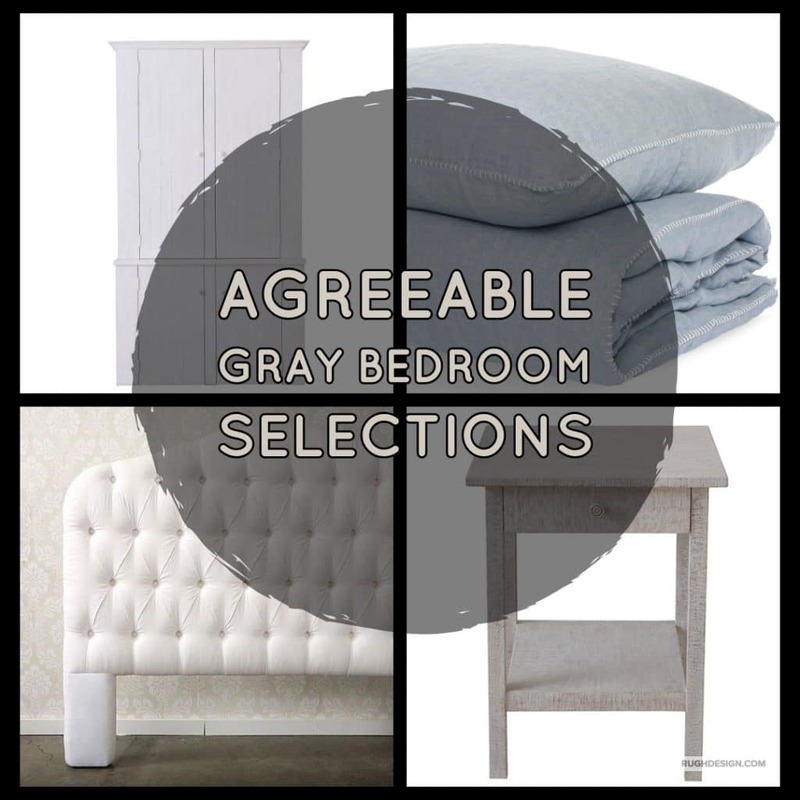 Which do you think is the best fit for agreeable gray? We are building and just about to the painting stage. We had decided on Agreeable Gray and I worried it would be darker than I’d like because I had originally wanted white walls. We decided on Incredible White to go just a bit lighter so we would have contrast with white trim. Just wondering your opinion. We would do it on all walls throughout the house and then I am wanting to do white ceilings. I have cherry wood cabinets would agreeable gray be ok with walls and what color trim should i do? What do you think about Agreeable Gray walls and Alabaster for trim, doors, ceiling and cabinets? Thanks for reaching out! Yes, Agreeable Gray walls with Alabaster for the trim, etc. works great. I use this color combination a lot. Keep me posted on the progress and send pictures when you are finished painting! I am doing a bathroom with Calacatta gold floors and wainscoting and shower walls. The counter is also Calacatta and the cabinets will be Agreeable Gray with Extra White trim. What color should I paint the walls? I am thinking of Incredible white but wondering if it will blend in with the cabinets. Any suggestions? Thanks, Leena! I hope to hear from you soon! HI, I am wondering your thoughts on Agreeable Gray for the walls and ceilings? Is it too dark of a gray for the ceiling? Thank you. Love your site! It’s so helpful! My head is spinning from spending so much time trying to pick out paint colors for my new house. This is what I’ve painted so far. Living room is Natural Linen – this room gets lots of natural light in the afternoon and evening hours, it looks great. The dining room and kitchen are basically one room with a hallway off the dining room portion that goes to 3 bedrooms and a bathroom. From the kitchen/dining room, you can only see directly into the master bedroom. The master bedroom is Antler Velvet. The second bedroom is Refuge and the bathroom is Vintage Vessel. I haven’t decided on a color for the third bedroom. I’m leaning toward Pure White for all the doors and trimwork and kitchen cabinets. My question for you is: What color do you think will work well for the kitchen/dining room/hallway??? I thought about Agreeable Gray. I also thought about Divine White for the hallway and Malabar for the kitchen/dining room, but Malabar looks so similar to Antler Velvet from a distance. The kitchen and dining room don’t get a lot of natural light, only a small amount in the morning hours. Any help is greatly appreciated. We have extra white cabinets and trim. Our floors are natural white oak, no stain. I have 5 paint samples on my walls. Agreeable Gray. Repose Gray and also Repose At 25%lightend, Crushed Ice and BM Classic Gray. What would look best with the natural white oak floors. I just can’t decide/ our hike faces front east, back west. Backside has so much natural light in the afternoon from the west. I don’t want anything dark looking, but I also worry about Repose’s undertones. Would love your thoughts. Thank you for your comment. Don’t fret! With a little work we can find the best color for your space! If you are interested please check out my Interior Color Consultation packages in my shop. We are looking to paint our great room which is a two story great room , kitchen and foyer which is also a two story foyer. It is a open floor plan. We are undecided between agreeable grey and anew grey. We currently have beige/gold walls. Our trim is cherry stained wood, we have American cherry hardwood floors and cherry kitchen cabinets. Our granite is black,tan,beige. I would love to help you pick the right color for your open space. However, it sounds like you are in need of more than I can offer by responding to your comment. Please check out my Interior Color Consultation packages in my shop and select the Open Layout package. We are painting our living room agreeable grey. Just wondering are there any other couch colors that match besides white? Any suggestions? I actually have Agreeable Gray in my new home and I love it! White is definitely not the only couch color that will go with Agreeable Gray. I have a sectional in a gray-blue fabric that works perfect. You could also go with just a gray sofa. The great part about going with a neutral sofa is that you can have fun with pillows and accessories to add pops of color. I would love to hear what you end up choosing for your sofa color! Hi! Love your advice! We are building a home and plan to use agreeable gray on the walls but need help with our ceiling and trim color. We are going for a white kitchen/farmhouse look. What do you think of agreeable gray walls, incredible white ceilings, and snowbound trim? Thanks so much! Thank you! 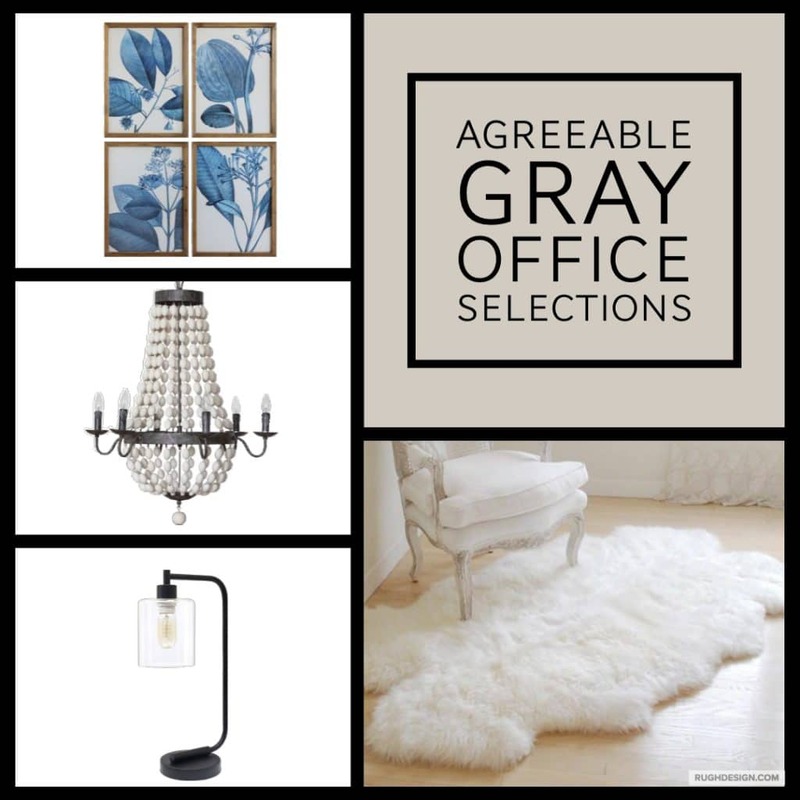 Agreeable Gray is one of my favs! I love Agreeable Gray with a bright white trim, like Extra White. I personally like white ceilings, but if you would like a bit of color to your ceiling, Incredible White works great. Snowbound is not as bright white as Extra White, but can still also work well with Agreeable Gray. It has a slight cool undertone that compliments the gray undertone in Agreeable Gray. Best wishes on your new home build! Keep me posted on your progress. Hi I just discovered your site! 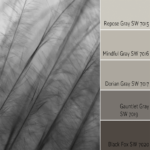 I am torn between Agreeable Gray, Gossamer Veil (both SW) and Balboa Mist (BM) for my /living room. They all look kind of the same, but can you help me distinguish? I think am painting the front hall White Duck (SW). I’m so glad you found me! I love Agreeable Gray. My new home is painted Agreeable Gray and it has been the perfect neutral backdrop for my furniture and decor. I categorize Agreeable Gray as a warm greige. It’s not a true gray and doesn’t get too cold or concrete feeling. Gossamer Veil is tiny bit lighter than Agreeable Gray, but does have a similar greige undertone. Balboa Mist is very similar to Gossamer Veil, but it a teeny bit cooler. Are you right they are all very similar! I would test out samples to see which on you gravitate towards in your home. White Duck will coordinate with any of them! Agreeable Gray for the walls and not sure what to use for the trim. Will AG go with TriCorn black cabinets? White Quartz counters. Hi Laura! I’m having a hard time coming up with a color for a room that has no windows, but is off my kitchen and connected to the laundry room and a half bath. The kitchen (and living room/dining room) are Agreeable Gray, my laundry room is white and I’m leaning towards my half bath being Sea Salt or Silver Strand. All my trim is either Pure White or Extra White (don’t remember which one)! Do you have any recommendations for what color would go well in a windowless room surrounded by those colors? It’s mainly a storage type room that I keep the door closed to off my kitchen because it’s in need of a major refresh! Thanks so much! Love your color palette! I would consider trying Eider White (one shade lighter than Agreeable Gray) to keep the room from feeling too dark while still coordinating with the other adjoining rooms. One more option is Silverpointe, which is similar to Silver Strand, but a bit lighter. If you did Silverpointe in the spare room, you could do a medium-toned blue/green-gray in the bathroom, like Oyster Bay or Acacia Haze. I would love to know what you end up deciding on! I was leaning towards painting our open concept main floor either Gossamer Veil or Agreeable Gray…the problem is our trim and ceilings are already BM White Swan(yellow undertones). Would these two colors work or do you have another suggestion in a similar type color? Our kitchen cabinets are a brighter white, but unsure of the color. I am in the middle of painting the following rooms. Kitchen and LR – Agreeable Gray (Kitchen has white cabinets and snowfall granite. My question is what colors should I bring in to each room to accessorize? House is in Florida.